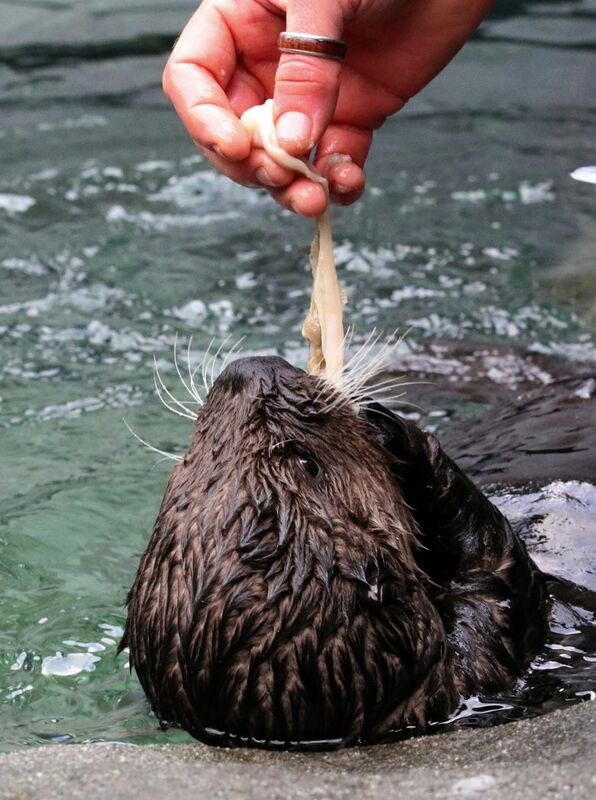 Rialto, the rescued sea otter nursed back to health at the Seattle Aquarium, is thriving at the Vancouver Aquarium. At his new home, Rialto has two baby otter companions. Aswirl in constant motion, Rialto the baby sea otter is hard to tell apart from his look-alike new companions: two baby sea otters from Alaska, rescued like him. 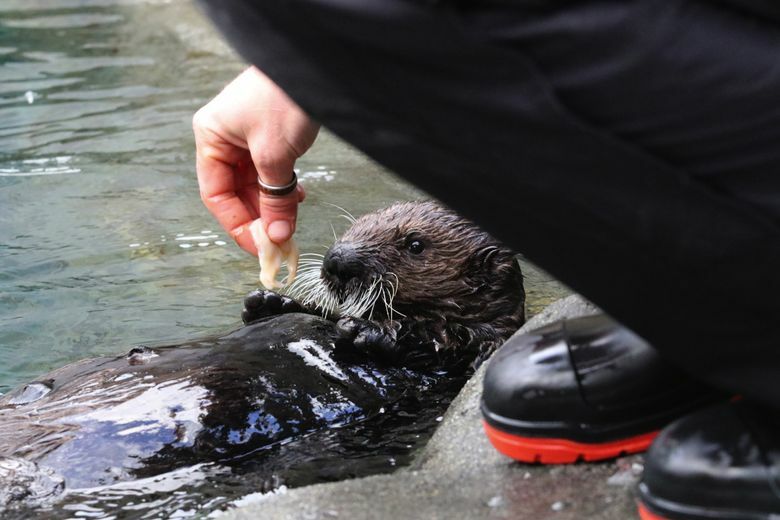 Stranded and on the verge of death on Rialto Beach on Washington’s outer coast in August, Rialto was rescued and nursed back to health at the Seattle Aquarium, with six weeks of round-the-clock care. 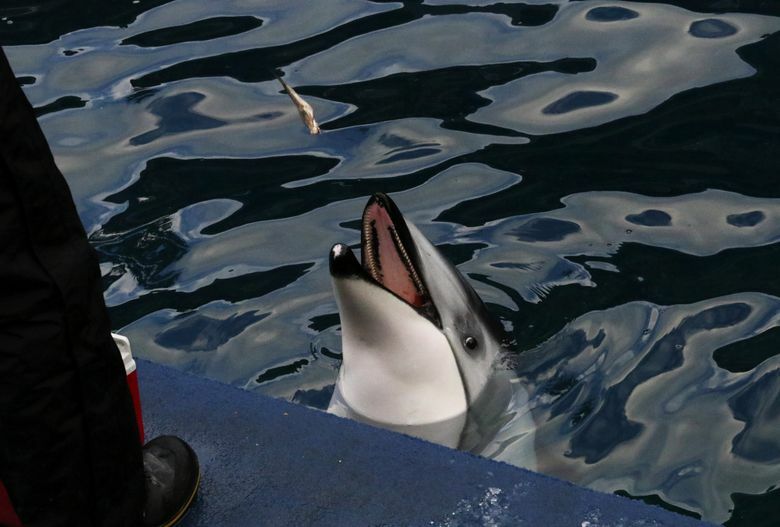 He was moved to his permanent home at the Vancouver Aquarium in September. At first, he lived there as he did in Seattle, in a nursery where he was cared for by staff from both aquariums. They were providing social interaction as well as feeding and care. 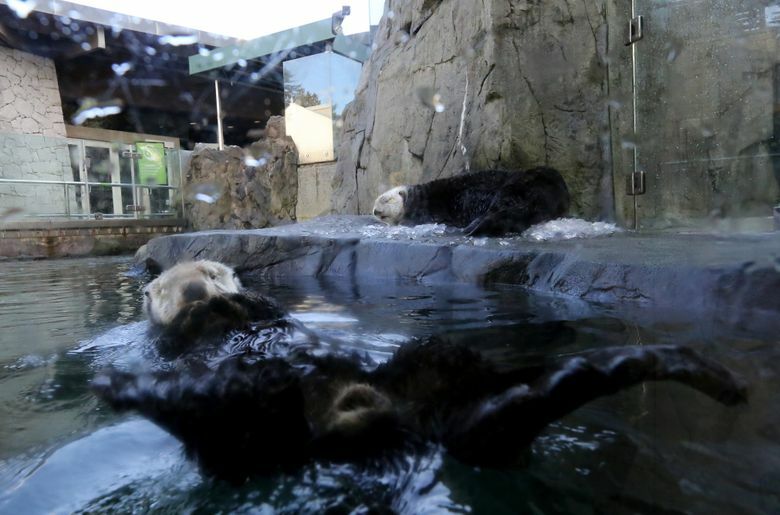 But the rescue of two other otters by the Alaska SeaLife Center — Kunik and Mak, now living at Vancouver Aquarium — means new companions for Rialto. The three baby otters share an outdoor, 10,000-gallon pool. They sleep together in a wiggling furry pile, atop the ice cubes they like to crunch and loll upon. 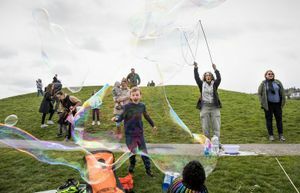 In the water they twirl and dive, silvery air bubbles trapped in their coats shimmering in the water. Which one is Rialto? The one with the slightly shorter, golden bristly whiskers. Maybe? Or is it? 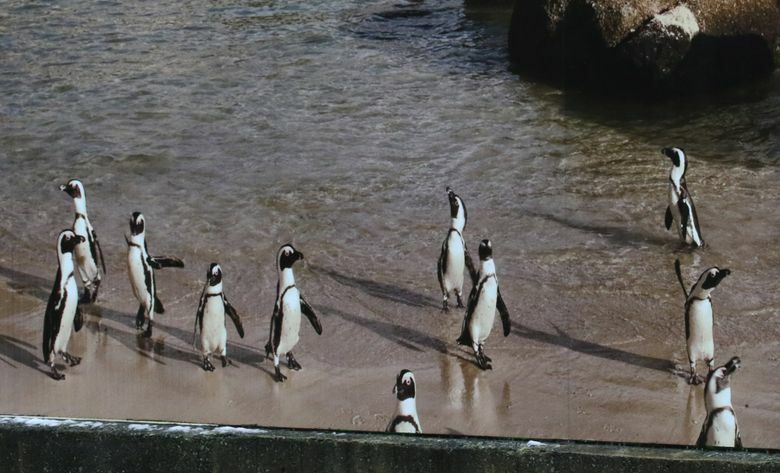 They eat together, too, four times a day, seated on a ledge of the tank in a specific order taught by their caregivers. Rialto gamely hauls out on the ledge with a hand signal. Not that he needs encouragement. 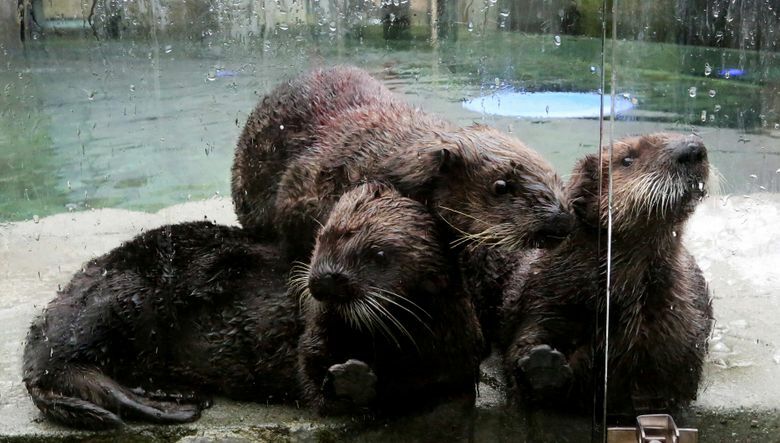 As feeding time approaches, all three otters are on the ledge and pressing against the glass door with eagerness. Lunch on a recent day was restaurant-grade clams, capelin — an oily forage fish — and cod. Rialto tucked a chunk of cod in the pocket under his arm for snacking on a bit later. In the wild, sea otters often tuck food away as they forage. Rialto was orphaned too young to be returned to the wild. 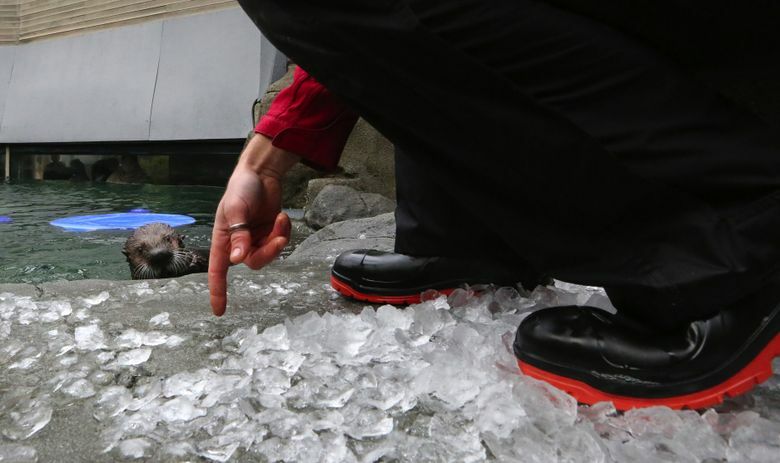 Instead, he is expected to live at the Vancouver Aquarium, an ambassador for Washington’ sea otters. He is the only otter from the Washington coast in captivity. In time, as he gets bigger, Rialto may be introduced to some of the adult otters at the aquarium. But for now, the three babies romp together. 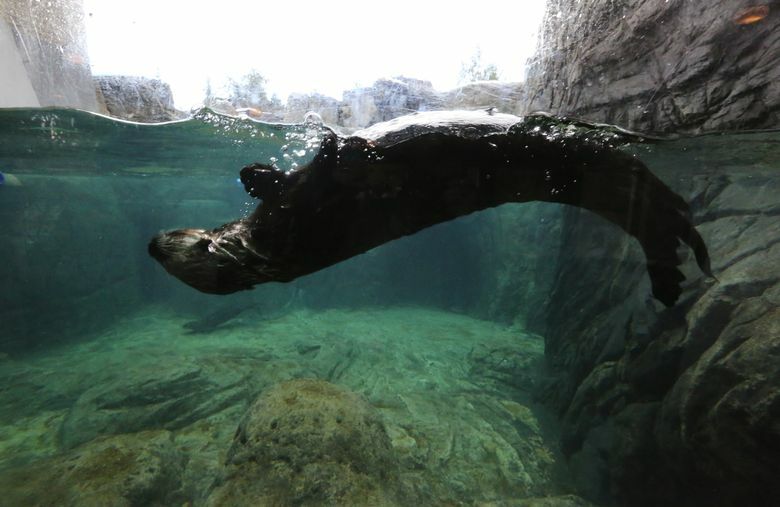 Troy Neale, assistant manager of the marine-mammal department at the aquarium, said the two Alaskan otters that had been together at the SeaLife center at first were more bonded to each other than to Rialto. But the three otters now eat and play together well, he noted. Every day the otters have a play session with a constantly changing round of toys, from balls to long strips of felt intended to mimic kelp. Ice toys are a favorite, as is a tub of ice cubes. Rialto sits in the tub and avidly digs, making a racket as the cubes fly. They often sleep together, too. After lunch it was time for a nap, and the otters tucked close in a row, like a string of commas. Looking at Rialto today, it’s hard to imagine he was once emaciated and starving. He’s packing on the pounds, tipping the scales at nearly 25 pounds, up from about 15 pounds when he was last weighed on moving day, Sept. 19. 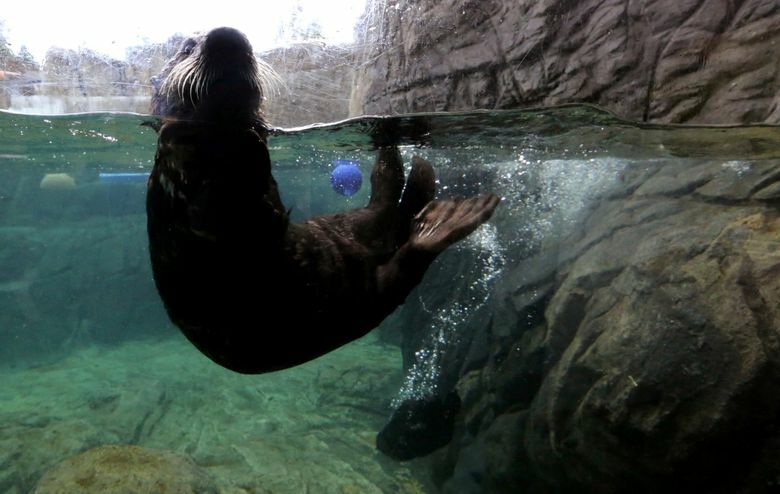 Rialto’s Seattle fans can watch him on the Vancouver Aquarium’s baby otter cam — including his antics underwater. Rialto’s been quite the hit since arriving in Vancouver, drawing more than 1.6 million views on the aquarium’s Facebook page as he got his first vet checkup. 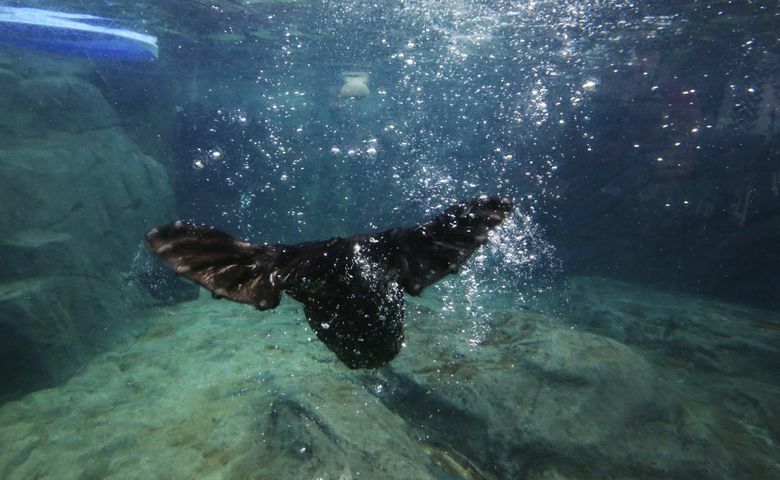 Caregivers at the aquarium are pleased with how Rialto has adjusted and thrived, and how he gets along, yes, swimmingly, with the newest arrivals.